the site become after 31 May 2008 A super new update. We are working on becoming the best Knight Rider K.I.T.T. conversion company in the business!! 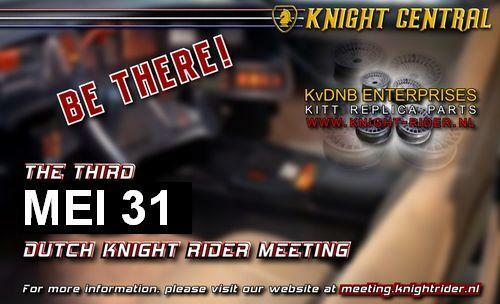 We are offering the best looking Knight Rider parts, replica but also original parts. Please, take a look around on our site and see for your self and if there are any questions you may have, please let us know. Please keep in mind that we are a starting company and that most parts are still in progress….. If you are looking for a specific part please inquire for progress. We will update our site frequently so you know the updates. We will be happy to answer all your questions you may have and requests are also welcome!! Also, don’t forget to leave your name in the quest book!! Thank you for visiting our site and we hope to do business with you!! Karel Van Duin and Roderick Plevier. the site become after 31 May A new update. © 2006 All Rights Reserved by: Karel van Duijn.